We spent a full day at the Studio catching up with Linda and some of her 2010 Spirit Participants. She started working on the choreography for Olivia’s Alegria. Then she worked with Natalia choosing music, followed by Amanda who came in to practice her footwork. Anais and her mom were next and Linda worked on Maria’s initial choreography. Linda then finished the evening with Cari’s music and dance. This entry was posted in LV Dance Studio, Spirit Auditions 2010 and tagged LV284, LV285, LV286, LV287, LV288 on December 28, 2009 by Filmmakers. We’ve now reached over 4 Terabytes of digital footage backed up in triplicate on 15 different 1.5 TB hard drives. After a few weeks of testing a number of mass storage solutions, including JBOD enclosures, RAID systems and variations of the very new “Beyond Raid” Drobo Pro and Drobo S hardware, we purchased the five slot Drobo S.
We are now able, for the first time, to view and access all 200 plus shoots on one volume. This will make all the creative difference in the world when it comes to editing our upcoming trailer and feature length film. This entry was posted in Filmmakers and tagged LV283 on December 17, 2009 by Filmmakers. 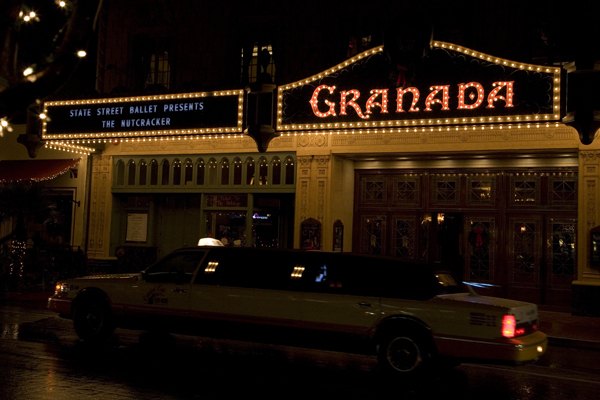 This weekend Natalia appeared in the Snow Scene and Waltz of the Fowers in The Nutcracker performance by the State Street Ballet at the Granada. Last weekend it was Cari performing in The Nutcracker with the GVCC School of Ballet. This entry was posted in Performances and tagged LV281, LV282 on December 13, 2009 by Filmmakers. After shooting Amanda’s first private of the 2010 season, we filmed an interview with Linda all about the opening of the Old Spanish Days letters, how her brother was doing and the new choreography she’ll be designing for her seven new Spirit participants. This entry was posted in LV Dance Studio, Spirit Auditions 2010 and tagged LV279 on December 10, 2009 by Filmmakers.